Life-changing surgery for conjoined Bhutanese twins Nima and Dawa has been postponed by clinicians at Melbourne’s Royal Children’s Hospital. The girls’ operation was originally scheduled for tomorrow, but will now take place in the coming weeks to allow the twins to receive further nutrition, the hospital confirmed in a statement this afternoon. 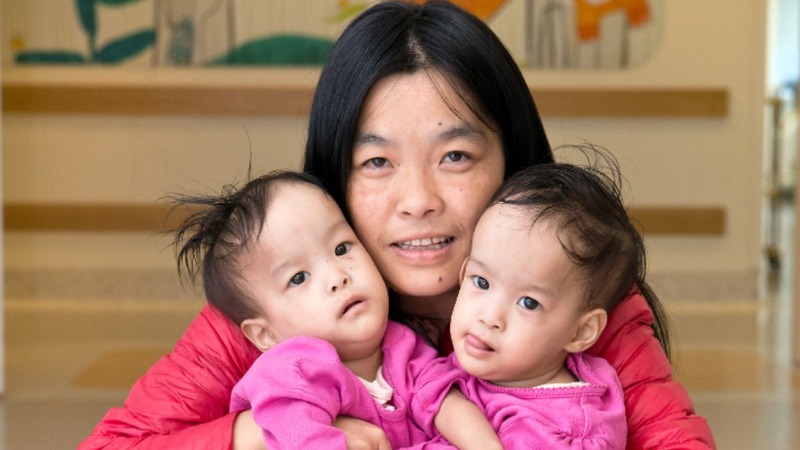 The 14-month-old twins will continue to receive clinical oversight by the RCH at the Children First Foundation retreat. "The imaging seems to be favourable in terms of what we need to achieve but surgery is always a case of &apos;expect the unexpected&apos; and certainly that will be the case here," surgeon Tom Clarnette said on Tuesday. The liver specialist added the procedure could take six to 12 hours and the risk of complications was real. "Getting the separation is going to involve getting the liver divided safely and there&apos;s a blood-loss potential there," Mr Clarnette said. The state government pledged to cover surgical costs, with other funds raised to go towards the girls&apos; Australian rehabilitation and return to Bhutan.